A big part of this weekend’s show at the Perth Motorplex is the fact that drivers will be vying for honours and points in the sixth round of the Sims Metal Management Late Model Pro Dirt Series. 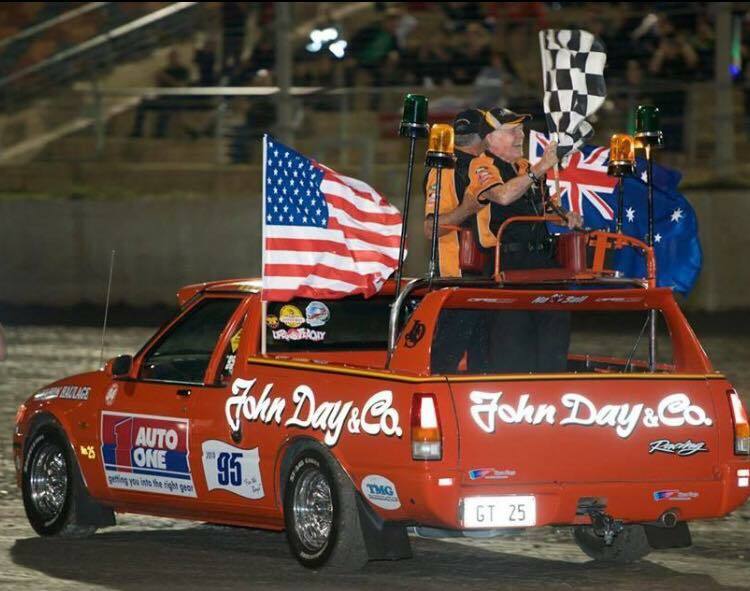 But sometimes, events can mean more than just series points and Saturday night will be one of those occasions, when the Late Models join with other Speedway divisions in a night that honours one man: ‘The General’ John Day. Put simply, John is an icon of not just WA Speedway, but Speedway worldwide. ‘The General’ isn’t known for his racing career though, it is all about his flag waving prowess and of course his fleet of bright orange push utes and the band of merry men that drive them: something that has become a stalwart of WA Speedway over the last fifty plus years. John and the whole Day family have continued to support our sport, still well and truly entrenched within every division, meaning that this weekend’s event is a big deal for every single racer. It is on this note we are proud to support the show with an awesome twenty one Late Models nominating. Kye Blight, Ryan Halliday, Paul Stubber and Michael Holmes certainly hope not! 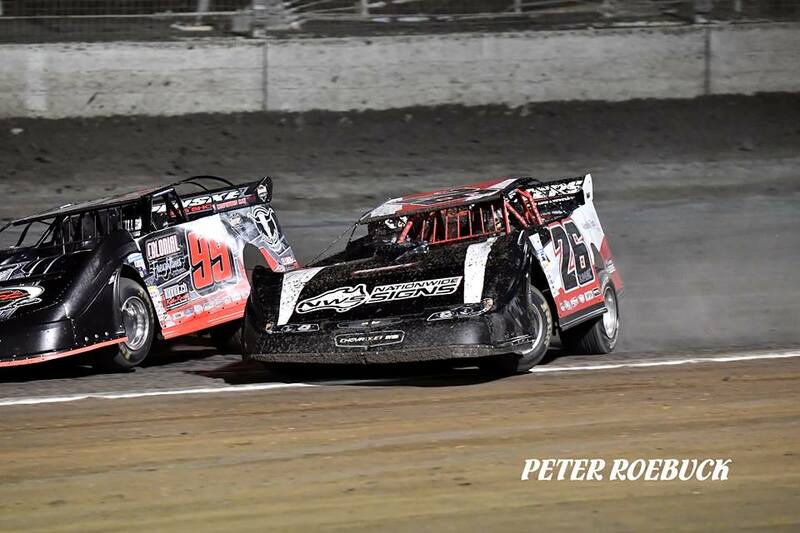 These four men have each claimed one feature win apiece this season at the Perth Motorplex, for a total of two, fourteen, four and two career Late Model wins at the Motorplex respectively. All will be going hard to try and be the first to move into dual feature wins for season 2018/19 and to move themselves up the all time leaderboard. Of course, there is a whole host of drivers who are also desperate to get some feature wins on the board this season, none more so perhaps than Marc Giancola. Giancola leads the Perth Motorplex Track Championship after four rounds by fourteen points and has recorded two podium finishes but is not willing to settle for that, he wants wins! This of course is something he is no stranger to, having recorded twenty four career wins at the Perth Motorplex, four of which are in Late Models. Jay Cardy too is desperate for a win, also sitting high up in the overall points but only able to manage two podium finishes without a victory also. 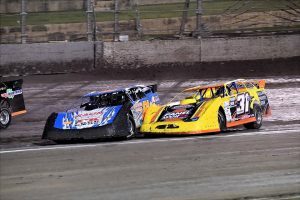 Cardy too has a good history of wins at the Motorplex, five in his win column, two of which are in Late Models, and he will be keen to add to that on Saturday night. 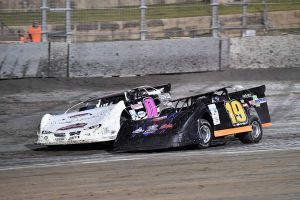 Brad Blake has the most Late Model feature wins at the Perth Motorplex with 34 wins (second highest over all divisions! ), but an up and down start to season 2018/19 has been tough for the likeable ‘O Show’. After sometime between rounds, Blake is sure to have spent hours perfecting the car and should be a strong contender for the win this weekend in a race that means a lot to him personally. Others including Brent Vosbergen, Joe Chalmers, Veronica McCann and Ken Macpherson have been consistently quick and hold good positions in the overall standings. All four drivers could certainly break through and trouble the leaders this weekend, while other names like Daniel Ameduri, Mick Comley and Simon McNab are also hoping to be on the pace this weekend after each had a variety of dramas in recent weeks. Also in the field is Dale Clark, who also returns to action for the first time this season in his immaculately presented #3 machine. Engine Starts and qualifying for other divisions begin around 4.30pm this Saturday evening, with Late Models scheduled to hit the track for the first of four heats (two per driver) at about 6.30pm. These heats will be held over eight laps, prior to a thirty lap feature event in honour of ‘The General’. There will be fireworks on and off the track from the time the first green flag drops until that chequered flag flies once again in honour of ‘The General’ John Day, so make sure you are there and don’t miss a second of the action! 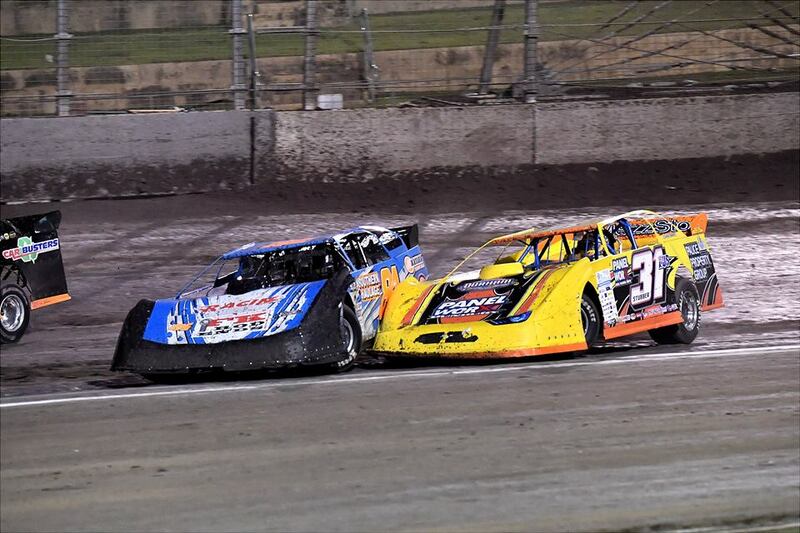 Pictures: The action is sure to be hot and heavy as the Late Models fight it out to honour ‘The General’ in Round Six of the Sims Metal Management Late Model Pro Dirt Series! Pics Courtesy Peter Roebuck.